The Gospel reading from the Mass for Sunday Cycle B for the 5th Week of Ordinary Time is Mark 1:29-39. After teaching and casting a demon out of a man in the synagogue of Capernaum on the Sabbath, Simon Peter invites Jesus to his home for a meal and to spend the night. Unfortunately, Simon Peter’s mother-in-law is ill with a high fever which caused her suffering and also presented a practical problems: providing excellent hospitality was an important custom; her help was needed to feed a large number of people; her fever may have caused fear of contagion among the guests. 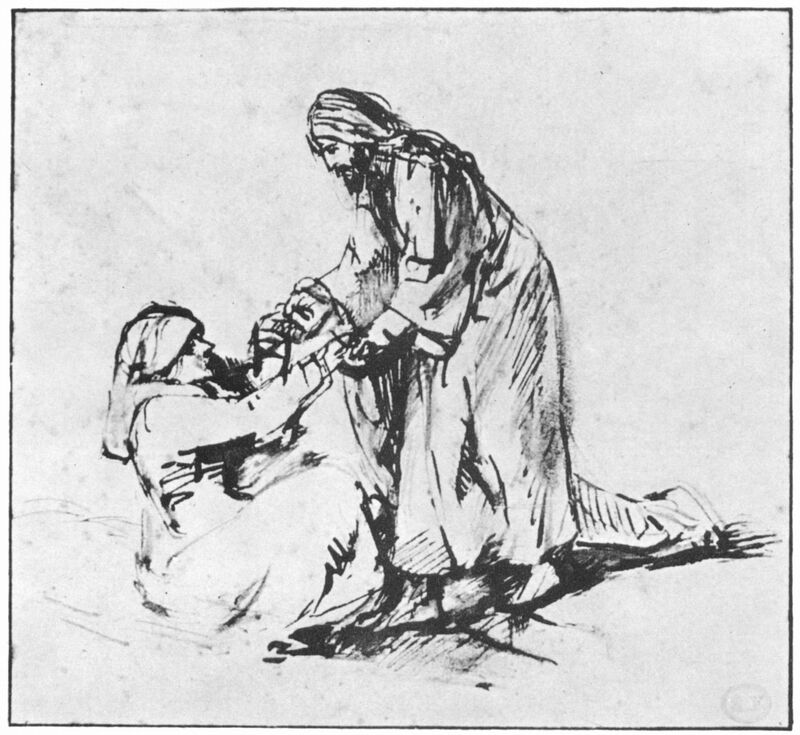 Simon asks Jesus to help his ill mother-in-law. Jesus took her by the hand and lifted her; she is miraculously healed and immediately serves them. As the sun sets, large numbers of the desperately ill people crowd around Simon Peter’s house; Christ heals many of the sick or demon-possessed. Christ silences the demons who seek to speak to the “Son of God”, further evidence of His supernatural power. After working late into the night to heal all who came to Him, Christ departs early in the morning to a deserted place to pray as was His practice. Desperate to know where Christ went, Simon Peter and the other disciples searched for and found Him. Rather than returning to Capernaum, Christ leads the disciples to embark on a mission throughout Galilee to preach in synagogues and cast out demons. Awed by Jesus Christ – Son of God and Divine Physician, Christ has dominion over Creation with the knowledge and power to instantly heal every disease and to cast out demons. Son of Man, Christ is the most robust of men, able to work long hours with little sleep. Divine King, Christ is relentless in His effort to announce His Kingdom throughout Galilee and to the whole world. 1) High fevers can be caused by bacterial or viral infections, heat exhaustion or other serious causes (e.g. tumors, etc.) and take several days or weeks to subside with modern treatment. Marvel at Christ’s ability to instantaneously heal a severe fever with a word and return Simon Peter’s mother-in-law to robust health. 2) Christ’s disciplined life of prayer is a model for men. Read the about Christ’s Example of Prayer (CCC 2599-2606) and pray for Christ for the grace to grow in your own prayer life. 3) Most men put their exclusive trust in modern medicine for healing illnesses; while prudent, Catholic men should first and persistently seek Christ’s healing for all illnesses, routine and severe. Reflect upon the practice of Prayer of Intercession (See CCC 2634-2636) and pray for Christ to help you build a habit of spontaneously praying for Christ’s will to be done for those who are ill or injured.